Now that the festival and outdoor event season is over for 2017, we’re in the midst of storing tents and packing away the bunting, whilst also busy excitedly planning ahead for 2018. To help us prepare for what our beautiful glamping guests want and need for next year, we have been analysing the data provided to us in the insightful UK’s Festival Market Report 2017. The report – which gives an in-depth examination of consumer demographics, preferences and behaviour – is based on research using a sample of 8000 festival-goers who partook in the annual UK Festival Census, an extension of the UK Festival Awards’ voting platform. Areas covered include festival-goers’ opinions on ticket prices, improvements they’d like to see implemented at festival bars, what types of music they consume, their most prioritised amenities at festivals, and much more. In this blog, we pick out some of the interesting statistics we think are particularly relevant to the glamping industry, together with some facts about the behaviour of festival-goers in general. 50% of festival-goers took advantage of Early Bird offers and almost a quarter of them (22%) booked at the first opportunity they got. We are delighted that so many savvy festival-goers are organised enough to plan ahead and often reap the rewards of doing so. Some festivals give substantial discounts for those that book early and we would always recommend this as a fantastic way of saving some money. With Great British Glamping we almost always have incentivised booking deals so if you book your accommodation early you benefit from a discounted rate. It comes as no surprise to us that music is still the number one thing that people enjoy and go for at festivals, and we have been lucky enough to see and hear some incredible live acts this year. As many readers will know, live gigging is massively important to acts in the modern age and this was positively confirmed again this season. There’s nothing quite so great as a cracking live performance in the open air. Increasingly, festival-goers are taking advantage of more luxury options available to them. 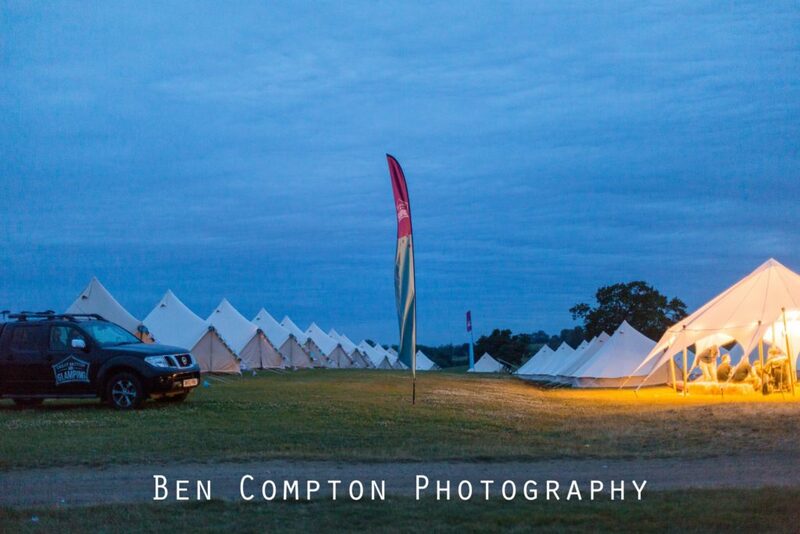 This year 5% of people opted for a VIP and/or Glamping option, following a recent year-on-year increase. Perhaps more interestingly a huge 84.8% of festival goers paid to use a premium toilet and almost half of everyone asked (46.4%) think festivals should make more use of these sorts of premium facilities. In fact almost 9 out of every 10 people asked (88%) would consider paying for a more VIP-style access in the future. It proves to us that people at festivals enjoy the outdoors of a festival but that element of luxury and premium facilities should not be overlooked; the demand is there. In fact, at some of our festivals our Glamping Village comes with its own private loos and showers, adding real value to our guests. We’d love to see that glamping figure increase as awareness of what we can offer rises. Free Wi-Fi is the number one improvement that people would like at festivals (perhaps just Wi-Fi at some festivals would be good but often that dis-connectivity is simply lovely). Other improvements include further ticket discounts for bigger groups, phone charging and better credit/debit card facilities, or even being able to pay for goods with a smart wristband – a relatively new concept that some festivals have trialled in the past couple of years. Of course, you can’t please everyone, but what is abundantly clear is that festivals are showing no signs of abating. In fact, recent news stories show that festival attendance is at an all-time high with a 12% rise in the last 12 months. This is literally music to our ears as we strive to offer a better experience for our guests year-on-year. Do you have any thoughts or ideas on what festivals can improve on, or more specifically that Great British Glamping can offer that would improve your experience? We’d love to hear from you. Stay in touch with what we are up to and get social by following us on Facebook, Instagram and Twitter. And if you’d like to say hello you can get us by email on hello(Replace this parenthesis with the @ sign)greatbritishglamping.com or talk to us on 07919 021 912.